Increasingly there is a realisation that the profile of the teaching force at whatever level best meets the needs of students if it can to a degree reflect the profile of the student population. Consequently there is an increasing interest in appointing a diverse range of people to teaching positions in education institutions. This includes increasing the numbers of Maori and Pacific Islands teachers especially in post-secondary institutions. But at a range of other levels the issue is quite complex and involves a very vicious circle. The progress of Maori and Pacific Islands students through the school system, through the entry requirements of tertiary education and through a first degree programme to graduation is still constrained by a whole range of issues that are well-known and need not be detailed right now and just here. The number who can then proceed to higher degrees is even more restricted by the processes that make attainment of qualifications at those higher levels a tough call for all students. Competition is keen among those groups wanting to recruit graduates with degree and postgraduate qualifications. Teaching simply has to line up with everyone else to get these students into the profession. So the pool of people potentially able to be teachers and who reflect the demographics, especially the groups of the under-represented and the under-served is neither wide nor deep. We could once use the word term “minority groups” to describe the groups from which we wanted to see increased representation in the teaching force but this makes little sense as the birth cohort in Auckland now has a majority of babies born into the Maori and Pacific Islands communities, a trend which will eventually be a national one. As long as the population trends grow more steeply and more quickly that the increase in educational attainments we shall fail to achieve the teaching forces in schools and tertiary institutions that truly reflect the people of this nation. These are international trends and no country has yet provided an effective response to the challenge. But I also think that there needs to be a re-assessment of ethnicity as a quality that should be taken note of in the recruitment of teachers. If we were to see experience as a really important factor in the basket of skills, knowledge, aspirations and dispositions that people bring with them into a teaching position (and we would claim that we do) then the experience of being from this or that ethnic group is surely an important element in the things that qualify people for a position, or make them the strongest applicant, or adds that extra something that interview and appointment panels seek. Similarly in a linguistically diverse community surely additional notice should be taken of the ability to bring more than one language into a position. The experience of being bilingual is not simulated through simply learning a foreign language for a few years and the authentic experience of the bilingual person must give them an edge in working with bilingual students. And this is what all this is about – an edge. Many people will have the basic qualifications and qualities to be a teacher, but educational institutions seek to put before their students, people who have this and an edge. It could be a special empathy with students or an outstanding ability to pass on the excitement of a discipline. But it could also be an affinity with particular ethnic groups, a skill in the language of another group, a life experience that makes understanding the experience of others more acute. This edge in fact becomes in itself something of a qualification to teach. Perhaps the teachers we need are out there but our search capability is using too narrow a telescope. Any parent with young children knows of that suspicion that all might not be well when the children go quiet and the sound of play, the squabble and just of general activity cannot be heard. It’s a bit like that in education in New Zealand at the moment. I think it is very much to do with the post-earthquakes period where the successive and overwhelming tragedies of the shocks in Christchurch and the earthquake / tsunami double tragedy in Japan have been numbing to everyone to a degree relative to the personal impact. All this has happened relatively quickly on the heels of the Australian floods. It’s been a huge amount happening in a short span of time in our little slice of the world. What happens is that for a time everything else, the old daily grizzles, the ongoing issues, the standard stand-offs, all seem rather unimportant. In fact, there is almost an element of bad taste when the media leave these tragedies behind and return to their same old themes – they all ring a little bit hollow. Education was affected considerably. Some schools in Canterbury have been destroyed, many damaged and most disrupted. Rebuilding all of this is a huge task for government agencies and communities. In more normal circumstances a rebuild of this magnitude would have been an opportunity to have a think about the shape of compulsory education – are the schools in the right places, of the right configuration and articulating in the best way. Just as once the intermediate school emerged as a solution right for an issue of the day, so too might the junior high school, the senior / community college or some form of transfer institution and other innovations might have been appropriate. But the imperative will probably be to restore to each community that which was there before the events of September 2010 and February 2011. It is reported in the media that the University of Canterbury has lost around 400 students who have not returned to the university and have not enrolled elsewhere. This is a serious disruption to the lives of those young people but they too have other things on their minds at this time. I wonder how many students from Christchurch have not returned but have enrolled elsewhere? Whatever the number the University of Canterbury has some remarkable issues to deal with as it gets back into business with some classes in marquees while buildings are checked and restored to a safe condition. Institutions take a real hit when something of this magnitude happens. Other institutions are also coping with the huge return to something resembling normal activity. But in amongst it all some good responses have emerged. Primary students in some numbers have been absorbed into other schools that have capacity. For many this will be looked back on something of an adventure at a time when families were disrupted. The dual use of secondary school sites by different schools was new to this country – might this lead to something that could be used permanently as the senior secondary school becomes more flexible? Acts of kindness have brought to the fore a generosity of spirit within education – institutions elsewhere hosting groups or programmes or even individual students. It is not as easy as it sounds to transplant an activity or a student into another setting and it requires great effort on both sides. It would be good if all this was being documented to remind us of what can be done and perhaps even without the impetus brought by tragic events. But to return to where we started – the children do seem rather quiet. Is this the longest period of time we have gone without an NCEA story, the usual tale of trivial importance treated by the media with an ersatz gravitas? Where were the annual start-of-year stories about the incredible pressure universities were under as enrolment numbers reached unprecedented levels? Why no stories about the terrible cost of school uniforms, the outrageous demands for school donations and the increased traffic as schools and tertiary institutions got under way? Major pay settlements for secondary principals and secondary teachers passed us by with cursory treatment. Why? Because those stories don’t matter. What matters is the fact that a majority of students in New Zealand go to school and other education institutions each day supported by their parents and caregivers, do what they are told and what they love doing and yet, due to the might of natural forces, they were unable to do so in unprecedented numbers. That was perhaps the education story of a hundred years. But it didn’t take long before the media moved on or was it back? Page after page on school bullying and violence. It matters but somehow it seems to be simply bad taste when there must be stories about the recovery of schooling in Canterbury that deserve to be told. There is some irony that the word “choice” has won a firm place in the lexicon of youth as a word of approbation. For instance “It was choice” suggests that whatever is being referred to is positive and perhaps even at the top of whatever scale of pleasure it is appropriate. The word “Choice!” on its own is alongside others such as “fabulous”, “wonderful” and the loathsome and overused “awesome” as a declaration of satisfaction, joy, perhaps even ecstasy. The irony is that choice carries with it risk. In education we suggest that choice comes with maturity and so we characterise the early years (well, the first ten years actually) as ones in which there is a “compulsory curriculum “within the “compulsory education” requirements which extend to age 16 years and even to age 18 years in education systems that can’t think of anything else to do in response to issues other than raise the school leaving age! I do not wish to distract myself into a discussion of school leaving ages but in passing it is worth noting that “compulsory” as a word has little force in keeping students at school and that compulsory school leaving ages are a nonsense which are simply a hangover over from the slow process of making education available to increasingly older students. And within the compulsory school years there is a huge amount of choice. Attendance at school despite the clear intention of the law is a matter of choice for many young people. That this is will have an impact on their lives (either positive or negative) does not dawn on those who choose not to attend school. When at school, much behaviour is a matter of choice. Doing what you are told when you are told to do it is a basic choice that is increasingly passed from the hands of the teacher into the hands of the students as they progress through the system and sometimes with dire consequences when poor choices are made. There is scope within “option structures” in the secondary school for students to make choices and the manner in which these are made is often arbitrary and not with due regard to the consequences. So we rely very much on the ability of students to make good choices with very little evidence that we help them to develop the skills and processes required to ensure that choices made are ones that will benefit them. Of course they quite quickly find out about the poor decisions when these impact negatively on the needs of others – behaviour, uniform, safety, abuse and so on – but they carry the burden of poor choices made with regard to subject choices on their own shoulders. Students who can be helped in making choices by parents and caregivers are greatly advantaged. The fact that the impacts of choices on the individual are very much an indication of the quality of choices made is an understanding that develops very slowly. In some adults it develops only after serious consequences (e.g. driving while drunk) and in others (e.g. those with mental health issues) perhaps never at all. Do we need a set of training wheels attached to choices made by students? Well one set of wheels is certainly appropriate advice and guidance at all ages and flexibility in allowing some changes of choices once made. Neither of these is easy in institutions with large numbers of students often dealt with in groups. Are post-secondary students immune from the issues of choices and decision making? I would have thought not. Requisites for entry into courses and programmes attempt to define the gates through which they should be capable of passing but they in themselves cannot give a very clear glimpse of the demands awaiting the students on the other side. Full realisation of the implications of choices made will only unfold during the early parts of the programme. And is it then too late to change the choice? Usually, failure and disengagement and a second start are the options when choices turn out to be wrong. So we have an education system that allows a considerable amount of choice. Would a more constrained system achieve better results? Of course even to suggest this is an anathema to many, especially those who have made good choices that have turned out well. That’s fine but surely choice brings with it a responsibility on those who allow it to see that students are equipped, informed and helped to consider the options and range of choices and arrive at ones that are best for them. The old saying about horses and water probably means something. There is a high likelihood that a horse that is thirsty will drink clean water. Does this offer us a clue about choice making in education? I do not read those Agony Aunt pieces in the media in which people write of their problems to receive advice as to how to deal with them (Never!) nor do I think that they give advice that is sensible (How do I know this?). But it leapt off the page in the newspaper  the other day – a reference to Ms Middleton-Stuart. What is going on here I thought? It was a short column in which a “celebrity” mother and her “A-list” daughter both answer the question. The question was this: I wish to study English history at university but my parents say it is a waste of time and I should work towards the future not the past? There is a touch of irony about this in light of our recent chat about careers advice and all that. What was the worry that this daughter/parents discussion seeks to address? Is it the value of the study of History (and perhaps by extension subjects like it)? Is it about the pragmatism of subject selection in a modern world – getting a job, earning a living, and all that? Is it a matter that should simply be dismissed as a point at issue between a daughter and her parents? History, all the arts subjects (and many of the sciences) have a value that goes well beyond the ostensible content of a course. They develop not only skills related to knowledge of that area but also of thinking and analysis. They develop an understanding of the world as it was and as it is. It is the point of a university degree that it should lead students to these higher levels of intellectual activity. Bob Jones, businessman, one-time party political leader and commentator argues strongly for the value of such courses and can be snide about the narrow focus of many of the new degrees universities have poured into their offerings. It will be seen as one of the mistakes of education in the late 20th Century that university education became increasingly vocational. There was a time when vocational areas were postgraduate courses which were taken after a general arts or science degree. Now many are first degree specialism. And we ask the question whether those engaging in that activity would make a greater contribution had they first studied a general degree? The extent to which subjects should be chosen for their “usefulness” seems often to be closely concerned with the ability to get a job and earn a living? Eventually this must be kept in mind remembering that high level academic activity such as research and teaching is at one level simply earning a living. Considerations of how the package of subjects studied at university might come together to form a substantial basis for future activity and progress for the students should be in the mix of factors that inform students decisions about pathways. There is a contradiction in the parent’s position that studying history is not “working towards the future”. How can we understand the future if it is not based on an understanding of the past, of its history, language, legal practices, culture and development? If you grapple with the future on its own there is a danger that uncritically it is thought to be the pinnacle of civilisation and thinking. I dismiss as petulance the advice for the parents to “clear out of this decision, it’s your life!” and the exhortations to “let them cool off” and “get over it”. This is Generation Y sludge – carry on like this and they will soon be talking of “seeking closure”! Families should be involved in discussions about directions and courses and futures – that is after all the advantage that the middle classes and the rich have over everyone else, a control of their own destinies and that of their children. They have always been concerned about it and parental concern has always quite properly been valid and useful. This is not to say that I endorse the behavior of “hover parents” who cannot let their little ones go when they set off to college and who continue to exercise a level of surveillance and control which probably exceeds that which they had when their children lived at home. It is quite an issue for some colleges in the US. An agony aunt’s history teacher called Ms Middleton-Stuart, Prince Harry to marry Catherine Middleton – I see auspicious stars aligning with the moon. I may even consult an Agony Aunt. Better, I think I shall set up an Agony Uncle Advice service – but my Mum is not around to help, she would have sorted them out. It is always good to hear that industrial disputes involving teachers have been settled and agreement reached on pay issues. Such drawn out issues are disruptive, distracting and distressing for teachers who want to get on with the job. They are also critically important. The quality of a settlement is a key factor in teacher recruitment especially of young New Zealand potential teachers and although there are other factors that impact on recruitment the promise of a fair and competitive remuneration is a big influence. Media reports also suggest that this is intended by and large to head off primary teachers and restore the advantage secondary teachers had prior to the introduction of pay equity. This is surely simplistic analysis because the formula will apply to quite a number of primary teachers (probably as many as 30%) and we can expect their next pay round to attempt to secure the same conditions for that group in the interests of pay equity. I must comment on the restoration of the importance of the Christmas Holiday that separates primary education from secondary education. What is it about a 50 day break that requires distinctly different qualification profiles on each side? The excessive emphasis on qualification type and on remuneration based on shoe size and the number of Christmas holidays were all argued against in the days of the quest for pay equity. Now it’s back to the future or is that buck to the future? No one can argue against the value of a degree in general regardless of the fact that a portion of any degree will be unrelated to the disciplines subsequently taught. My degree qualifications include English, French History, Philosophy and Anthropology. I taught French (briefly and badly) and English (rather better I think). I have never formally studied business but I teach on an MBA programme and supervise doctoral students on a range of topics some related tangentially to education. There is a general value to general degree education that is greatly to be encouraged – a liberal education indeed demands it. But to claim that this should trump a degree in teaching is a big call (and rather denigrating of such degrees). Has enough thought been given to the place of a teaching degree for secondary teaching? When there is such an inexorable drift towards vocational degrees in the university it might well have had a valuable place. And there may be some unintended consequences to this settlement if it has been portrayed accurately. We are inevitably going into a phase of development in secondary education that will require the senior secondary school to expand the pathways available to students. There is a call for much more opportunity for students to engage with career and technical education at an earlier point. Conventional academic education designed to get students to the starting gate for a university / degree programme remains important but finally there is a realisation that a growing number of students are not well served and in many cases not at all by this single focus. This raises the issue of who then is needed to teach in the secondary school of the future? If secondary schools are to have an increased capability in the delivery of the trades and career and technical programmes then the degree + teaching formula qualification doesn’t work. The people required for this will be those undertaking teaching as a second career. Does that ring a bell? One of the historical, clear and hurtful divisions within the secondary teaching community was between technical teachers and the rest simply because their experience and qualifications were not given equity with the degree qualified teachers required for subjects of the conventional academic canon. I taught many technical teachers in my early years as a teachers college lecturer. They brought a wealth of experience from the world of work and life in general into the classroom. More importantly they taught applied subjects on the basis of long experience in applying them outside of the classroom – real teaching about real world activity. We know that large numbers of students responded to this and were able to access secure futures from it. If an unintended consequence of the increased focus on degree + teaching qualification as the entry ticket to secondary teaching is a more constrained ability to provide that expanded set of pathways to students, the only way open to students will be to access those options outside of the school system (in polytechnics or private training providers or industry based training for instance). Alternately, the capability to provide for that group of students will need to be brought into the school through the development of innovative pathways to tertiary and industry-recognised qualifications. Trade Academies and suchlike developments are already starting this process. Finally, I am again wondering whether teacher pay and student pathways are both impacted on negatively by the continuation of a sector-based approach to education. But that is another story. Talk-ED: Is a "career" onward and upward or merely downhill? It seems clear to me that careers education and advice needs to start well within the primary school and reach a point of clear direction at the transition into secondary school. But there is little agreement about this and the issues of careers education is one shared by many countries. In the United States reports about the provision of careers advice and guidance are generally scathing about the quality and usefulness of advice given to high school students. One such report is Betraying the College Dream: How Disconnected K-12 and Post-secondary Education Systems Undermine Student Aspirations (Venezia, Kirst and Antonio, Stanford University’s Bridge Project. Venezia, Kirst and Anotonio found that students have misunderstandings about the financial aspects of further study, little idea of the actual steps to take to align high school work with entry standards and curriculum content, misguided beliefs about subject choice and the degree of choice students will actually have should they proceed to college. They also identified other areas of more general concern: there were clear inequalities in the education system that seriously affected progress, student knowledge of requirements was sporadic and vague, teachers who are faced with providing the careers advice are not resourced to provide accurate information, and the availability and provision of data to support their work was simply non-existent. In Australia they have a very broad Australian Blueprint for Career Development which is very much based on the identification of skills, attitudes and knowledge that individuals need if they are to make sound choices of career and later manage it effectively. It is broad and general. In New Zealand there is the MOE Career Education and Guidance in New Zealand Schools handbook published in 2009. This is a general curriculum (?) 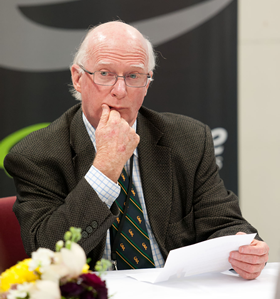 for careers education and in the New Zealand tradition establishes broad and general goals which are open to interpretation in the local school. I question some of the premises on which thinking about careers education is based in all of these countries. First, they all rely heavily on the untested assumption that young learners can internalise the concept of a career especially if the young person is exposed to it only in the context of a special and separate programme and they ignore the tremendously inequal roles that students homes play in all of this. Is “career” a concept that is a priori or a posteriori? In other words, is a career something that one has at that early point simply through committing oneself to a line of work at the end of schooling or is it a reflection of a body of work over a significant part of a lifetime? For instance when did I become conscious of the fact that I might have a career in education and teaching? I am not sure that I am even aware of it now. Career is a word others use of me but which I do not use in describing my work. Is not the issue for a young person which job they will do when they leave school or further education and training? Do they really at a young age embark on a “career” or do they head off into a job? The other point at issue is the fact that home and socio-economic status has a huge impact on young people in this area and yet resources are spread without regard to the severe need of some students compared to the relatively little need of others. Students who are born into homes of professional people get their careers education with their mother’s milk. Their upbringing is immersed in the value of education generally and the specific demands, positive attributes of particular professions or trades. That is why where parents are lawyers, young ones follow in their footsteps, the same with medicine, perhaps less so with teaching. Farmers’ children tend to stay on the farm a little less nowadays it is reported. But whatever the pathway, these students also know with some precision about the value of both the education that leads to entry into these areas and the rewards that come with them. Indeed they consume their share of the rewards. Indeed they consume their fair share of the rewards. My point is that such young people either have little need of formal careers education because they already have a future mapped out or alternately have a good basis for thinking about the future world of work for them, comparisons they can make, help they can access. But for students who come from homes where this is not the case – parents who have little educational experience and are perhaps at the mercy of the impetuous nature of the labour market – need significant help from the schools And I say schools for a reason. Education systems which are successful in stitching together schooling systems with positive outcomes in terms of employment seem to have two clear decision points. One is at about the age of 12/13 years and another around the age of 14/15 years. The first is to do with have the employment awareness at a level that sees a connection between education and the world of work and the second is about actually setting off on a pathway that is clearly designed to take them to a positive employment outcome of one kind or another. These systems are also flexible in such a way that these decision point are in an inclusive rather than an exclusive framework – that means there remains some opportunity to change direction. I suspect that the discussion on careers education has yet to start. As educational professionals we are letting ourselves down by the continual use of wishy-washy statements about the purpose of education. Really? Are workers going to live long enough to actually outlive whole occupational classes? Change doesn’t happen cataclysmically to the extent that in a short space of time, an occupational class disappears. In older times a book-keeper used to sit at a specially designed table that held the ledger book entering income and expenditure into it in a copper plate script. He (for it usually was) used the same principles that are used in entering income into a spreadsheet on a computer. Just as the pen replaced the quill now the pen is replaced by the cursor. The job has changed only to the extent that the tools required to undertake it have changed. Sometimes new jobs arise such as, perhaps, a CNC Designer. Again, new tool but same old job that applies the principles of design learnt with a pencil and drawn on a drawing board. And so on. Now, some people might work for a lot of bosses over a period of time but usually in the same occupational area. Even top executives who move from corporate to corporate would do so on the basis of taking with them a skill set that is identifiable, what they are known for and what is sought by the new employer. There is little evidence that we will have seven jobs that are in entirely different areas. We might well have seven jobs in the same discipline. I have personally had a huge range of jobs but all in educational institutions, each requiring growth in my set of skills and I have never sought a job outside of education. I guess that this is typical of most in education and in many other areas. When the phrase “no previous experience required” is used in an advertisement it is usually code for a position that signals low or unskilled work. But people who develop a career usually do so within a pretty consistent skill set which might well continue to grow over time but which seldom head off in a wild tangential swing into a new field. Finally there is that purpose that distracted us in the 1970s – we have to prepare people for increased leisure time. I didn’t know that back then when there was pretty well full employment they really meant part-time work or unemployment for they always spoke of a shorter working week, longer weekends. Well, it soon turned out in the 1980s that this was not to be the case – fewer people worked longer and increased numbers didn’t work at all. So what is the purpose of education? Well I think it is simple. The purpose of early childhood education is to prepare children for primary school. The purpose of primary school is to prepare students for secondary schooling which in turn should prepare students for a vocational pathway. The notion of a “vocational pathway” includes all post-secondary education including the university. The purpose of the university is to prepare people to contribute to society through high level thinking, the ability to have new ideas and to give new nuance to old ideas. But each of these high and new thinkers will need to make a living so regardless of the vocation they move into, it could be said that the purpose of a university is vocational. Of course some discipline areas – medicine, law, engineering town planning and so on – are blatantly vocational while other areas of study are preparing students for articulation into a postgraduate vocational programme such as teacher training and post-graduate specialist courses. If the purpose of education ultimately boils down to being vocational then it makes sense to say that we are preparing people for whatever it is that they will need to next – in early childhood education it is primary school, in primary school it is secondary school and in secondary school it is post-secondary education and training or work. Good learning at every level is a mix of hard skills and soft skills backed by the technology that is typical of the time. Simplifying purpose then sets the stage for a simpler set of goals and purpose. What should students know in order to be ready to start primary school, to enter secondary school and to graduate from secondary school into post-secondary education and training or into employment? Is that too hard for educators to agree on? Now this simplistic framework is simply the skeleton on which education hangs so many exciting, extending activities introducing us to worlds we might never have known in which we might do jobs that we are prepared for because someone has the commonsense to teach us the skills and the knowledge to do a job that exists!. My primary schooling was quite non-Shakespearean and I never recall a day when I was the…. I enjoyed primary school I think because I cannot recall any unpleasant experiences, teachers who I didn’t like or other pupils of whom I was afraid – all in all the six years at Frankton Primary School were happy, engaged and unbullied ones. That was typical of those days I think. Frankton Primary School is to celebrate its centennial soon. My uncles were there on the opening day 100 years ago, my mother went to school there as did my older brothers and my twin brother and I, without thought, I followed in their footsteps. It was the local school and you went to the local school. We walked to school regardless of the weather or the state of the fog generated on a cold morning by the team engines in the railway yards, perhaps a bit over a mile because no-one was driven to school and we didn’t own bikes. We were a driverless walking school bus years before they were thought of and what started as two little fellows leaving home in Greenwood Street would swell to six or seven as we gradually accumulated friends as we passed their houses. The only day I was picked up by car was when Dad and my uncle were waiting at the school gate to tell us that Grandma had died and in a manner befitting the occasion, drove us home. Mostly I remember teachers rather than lessons, classrooms rather than activities at lunchtime and a solid education rather than the imprimatur of the badge. New entrants (I am sure we were not called that) and “primers”. Little blackboards on the wall for the practising of a good writing script, a little “sleep” after lunch on a straw mattress with Miss White’s boot with 5” sole passing perilously close to an eyelid that wasn’t quite shut, regular checks by doctors and nurses who peered and prodded and pronounced us to be healthy and the introduction to school milk. School milk has become something of a collective memory for our generation in New Zealand. I don’t really recall it being unpleasant as many note when speaking about it and it was a real treat to be the ones who went to the milk stand at the gate and brought back the milk for the class. Actually I am wondering whether this was a later experience, the standards perhaps, because we were little and I doubt my ability to have carried one side of a crate of milk when I was in the primers. Somewhere along the line in the bigger primers we made little A5 folders for the carrying of our School Journals home for reading practice. Made with an artistic design (for that read uncontrolled scrawl) in crayon on the front and back and then so cleverly coloured with dye with a piece of wide tape down the spine, they served as a useful transport device for those wonderful journals that I am sure have a lot to do with the reading successes of a generation. It was only much later that I came to appreciate that we had been reading writing by some of New Zealand’s best writers – how could we not become great readers? This might have been later because we cut our reading teeth on Janet and John. Of course we later came to understand that this series was exotic rather the reflective of New Zealand, sexist rather than gender-balanced (Daddy always got to fly in the Viscount), and sociologically biased toward the middle classes (well we were middle class but didn’t have much money as was typical of many at the school). But despite these drawbacks we all learnt to read. And I mean all, failing at something at school was not an option offered to us either at school or at home. Were there students at school in those days who failed? If there were I remained blissfully unaware. The standards (class levels originally deriving from a set of national standards – isn’t life full of irony!) were more about getting on with arithmetic and writing and Nature Study and learning to draw the flags of many places provided they were coloured red on the map, signalling the great siblinghood of the British Empire. Loyalty to the King was briefly observed then a young Queen took over and saw me through my schooling. The coronation was a highlight of Standard 1with a concertina drawing of the State Coach bearing her to the Abbey to be crowned and the presentation of a medal – I still have both of these. There being no TV, great events such as the coronation saw us all bussed to a picture theatre in town (i.e. Hamilton) where we saw it all in colour and were happy little monarchists as we were transported back to school. Frankton in those days was on the fringes of settlement in the wider Hamilton area and many country kids came to school there. So there was the Calf Day (I don’t why lambs were not accorded titular respect but they were there) when the country kids brought their beasts to school and an extraordinary number of ribbons were awarded it seemed to us townies. As part of the democratisation process the “Calf Day” turned into a “Pets Day”. My brother and I along with a mate took two hens along, towed under netting in a little cart pulled by a tightly-held goat (none of our animals were very willing participants). We did not get a prize which was compensated for when our photos appeared in the Waikato Times – so much for all the flash-harry pets! World War II was still pretty fresh in the minds of the grown-ups (less so in ours of course) and the school was quite military in that every class lined up at the start of the day and when the battalion of the ignorant was steady they would march off to stirring military tunes to do battle against ignorance, inkwells and inquisitions from teachers about homework. In my last year as the Yellow House Leader I would, along with my fellow girl Leader, stand upstairs at the staffroom window to award points to the quickest platoon to reach parade standard and give the signal for the march to begin – reviewing the fleet had nothing on this. I could go quite a bit more and probably shall! It is very cold in Sweden which I imagine gives them a lot of time for thinking. So it was with some anticipation this week that I met with some Swedish visitors who were passing through on an educational tour. Here was a chance to learn from Scandinavian educators. Finland beats us in the PISA World Series, Scandinavia is held up as a set of countries to emulate, and any country that can give us the Nobel prizes, the celsius scale and ABBA must have something to offer. Scandinavia is often held up to us as an example to be emulated. The Swedish group worked in a “vocational” senior college. After nine years of schooling (they start a year later than us) students can make choices about which kind of course they follow – one that takes them to the university or one which prepares them for work. But the interesting feature of this is that they do not make the split one which says academic that way and vocational over here. The students who are working towards the construction industry or the hair and beauty trade also continue their academic development in the core subjects of language and mathematics so as to make possible a shift to the conventional university at any point either while they are moving through their senior college or at some later time. So what are they doing that enables them to maintain this flexibility of pathways for students rather than the restricted options of the New Zealand system where life chances are so comprehensively defined by early success or failure in school? Well, one thing could be their attitude towards language. If a student arrives in a Swedish educational institution and comes from a language background other than Swedish, that educational institution is obliged by law to provide a teacher or support person who is a mother tongue speaker of that language to provide assistance. Rather than pack the NSSB (non-Swedish speaking background) student off somewhere else for instruction in Swedish or simply immerse them in this new and foreign language, a NSSB student continues to learn in their home language while developing skill in their new language. This is exceedingly enlightened. They acknowledge that this can be challenging at times but no slack is cut on this for them. The only way a student can develop skill in a new language is to continually develop in their first language. In New Zealand our mainstream schools are cold turkey schools by and large. “English Spoken Here”, the sign that excites so many British tourists, is the prevailing approach. I wonder if we will ever realise that patterns of achievement for Maori students were driven downwards by our not recognising the importance of the mother tongue. I wonder why we are insisting that the same thing must happen to Pacific Island learners. Another thing is that critical decisions made at age 14 about the nature of the educational programme to be followed from that point on. That age, 14 years, consistently emerges as the age at which systems that are not characterised by disengagement and the NEET phenomenon offer to students a range of pathways along which they can travel to a future characterised by success, employment and a self-sustaining life. It seems to be the point where to carry on with education that is without a clear purpose (other than the esoteric and ethereal glow of lifelong learning) is putting a group of students at risk. But in Sweden they are used to much greater intervention in the community and the economy by the government. Education is centrally and closely regulated and schools have to march in time to this environment. There is the closer scrutiny of the system that comes from local government. Would we have a tolerance for this after 21 years of permissive, if not promiscuous, self governing institutions? And on the issue of educational failure they were adamant – the institution was held accountable and it seemed that there were some financial incentives to see that students had success (for that read that they lost money when students failed I guess). It’s easy to spend time with visitors from far away glamorous places and be impressed but I was left with a feeling that we could learn quite a lot from them. They had come to New Zealand to learn from us acknowledging that we teach successful students as well as anyone in the world and had met wonderful teachers, principals and students in schools that they thought were great. I asked: What does Finland do to beat both Sweden and New Zealand in the PISA Grand Final and the answer surprised me. Finland has, according to these Swedish neighbours, a very homogenous community – they don’t admit immigrants in any great number and it is too cold for the migrant workers that challenge many of the European systems. Finland also has few NFSB (Non-Finnish Speaking Background) people and when immigrants are allowed to settle they are pepper-potted throughout the community and so avoid having only some schools to carry all the hard work of disadvantaged communities.